First of all, a very warm welcome to all of you to the Chinese Embassy. 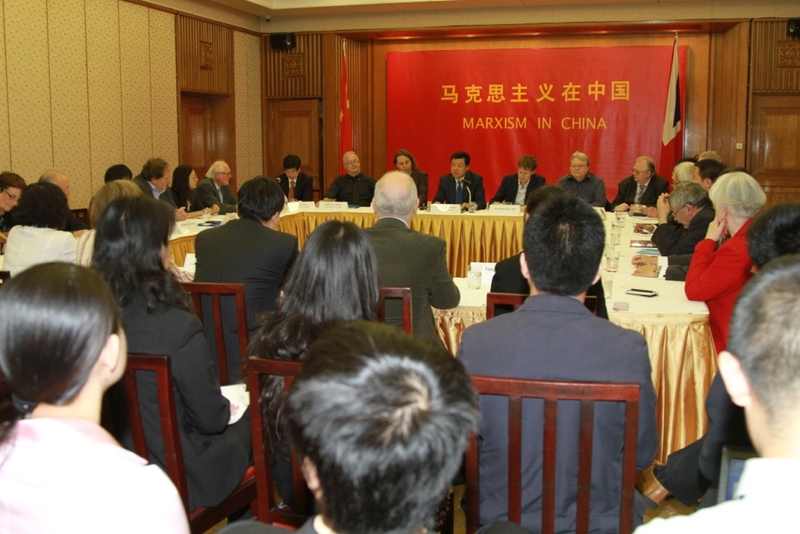 It's a great pleasure to meet so many British scholars of Marxism and share thoughts with you on Marxism in China. First, it comes at the right time. This year marks the 90th anniversary of the Communist Party of China or CPC. High-profile celebrations have been underway across China. The CPC was born out of Marxism and has stood the tests of time and adversity. The extraordinary 90 years since its founding have been a history of development and practice of Marxism in China. Second, we have chosen the right place. Britain is the second home of Karl Marx and Friederich Engels. This is the land where Marxism took shape and matured. It was from Britain that Marxist theory spread worldwide. Within two weeks of my arrival in London as Ambassador I visited the Highgate Cemetery. I went with my young colleagues in the Embassy to pay tribute to Marx. I went further to retrace the steps of this great thinker and mentor. I visited his central London home in Soho and toured the British Museum to see where Karl Marx wrote and studied. Third, we bring together the right people. Many of you are scholars of Marxism, long time campaigners for Marxism or leaders and participants in Marxist parties. It's Marxism that gives us this opportunity to exchange ideas together. First, why has Marxism been the choice of China? Marxism became the choice of the Chinese people following a painstaking journey of exploration and perseverance since the second half of the 19th century. The early 20th century saw China and its people in deep crisis, both internal and external. Neither old-style peasant revolts or bourgeois reform or revolution could make any difference to China's plight and destiny. The October Revolution in Russia made a profound impression on many Chinese people. It pointed to a solution to free the Chinese people from their terrible predicament. That solution was the theory of Marxism as a systematic, scientific world outlook and methodology that could be spread to China. Four years later, in 1921, the Communist Party of China (CPC) was founded in Shanghai. It was to become a party that has profoundly changed the history and the destiny of China. In the years since 1921, using Marxist theory as its guide, the party has evolved through many tremendous challenges. The Party has led China and her people through three great revolutions, one after another, amid many trials and tribulations. First, the new democratic revolution achieved national independence and people's liberation. Second, the socialist revolution established socialism as the basic political system. Third, the new, great revolution of reform and opening-up put China on a path of socialism with Chinese characteristics. This third revolution has been fundamental to the great success of the drive to modernize China. These three revolutions witnessed China's rebirth through 90 years of social transformation. No country in world history has ever experienced such widespread and profound change and in such a short period of time. When the CPC was founded in 1921 China was a divided, isolated and impoverished land. China has now emerged as a united, harmonious, confident and prosperous country open to the entire world. My second question for you today is this: how did Marxism match with the reality of China as a country? As you will know Marxism is by no means a set of rigid dogmas. You can read this in the preface to 1872 German Edition of the Communist Manifesto. Here Marx and Engels made this very important observation that relates to changes of time and development of practice. Marx and Engels wrote: "The practical application of the principles will depend, as the Manifesto itself states, everywhere and at all times, on the historical conditions for the time being existing". They continued with: "This programme has in some details been antiquated" and some literature "is deficient in relation to the present time". In his letter in 1895 to Werner Sombart, Engels wrote: "The entire conception of Marx is not a doctrine but a method. It does not offer made dogmas, only starting points for subsequent investigation and the method for such investigation." In China, the steps taken to tailor Marxism to Chinese national and historical circumstances started from very early in the history of the CPC. You can trace back these adjustments to when Marxism first arrived in China. Such efforts to adjust Marxism for China's needs have never ceased. What kind of revolution did a semi-colonial, semi-feudal China need and how to get there? The breakthrough blazed the trail for the new democratic revolution and the building of socialism. In turn this contributed to the formation of an important theory, the Mao Zedong Thoughts. · What is socialism and how to build it? · What kind of Party should be built? · How to build the Party? · What kind of development should be achieved? · And how to achieve that development? · It built up an entire theoretical system including the Deng Xiaoping Theory. · It added the important thought of Three Represents and the Scientific Thinking on Development. 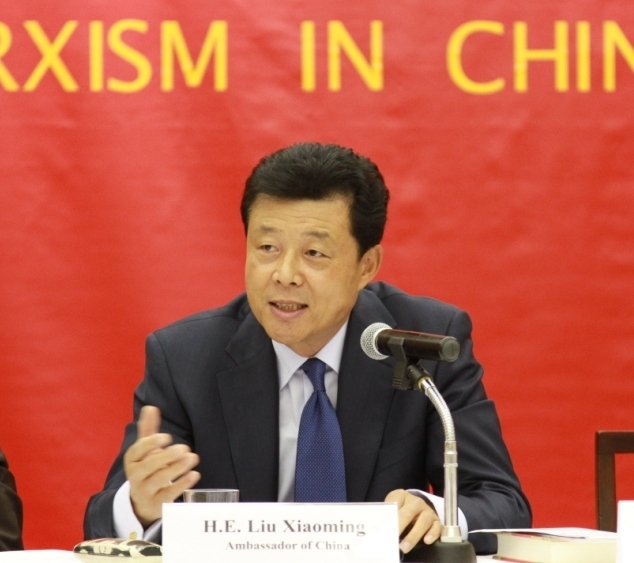 · All these are the latest outcomes in localizing Marxism in China. Since its founding, the Communist Party of China has developed a proud tradition. 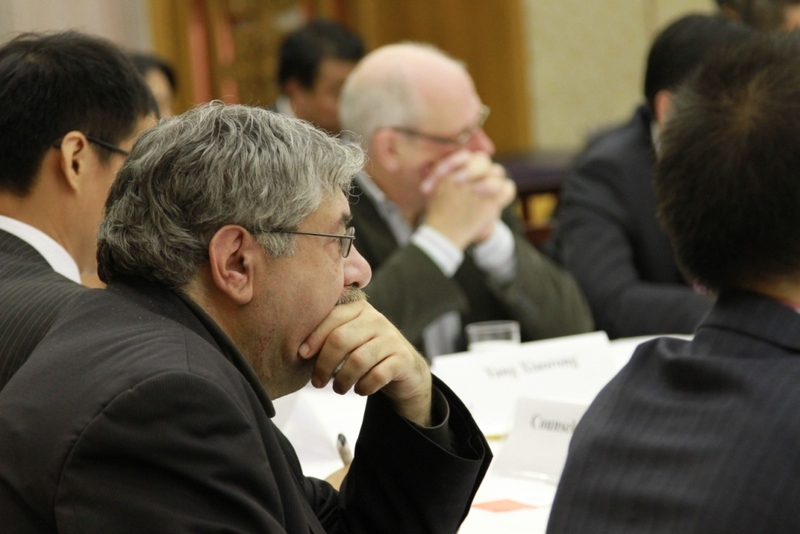 It makes analysis and seeks to solve China's problems with Marxist positions, views and methodologies. More important, the Party applies Marxism creatively and in light of China's realities. As a result, Marxism is much more vibrant today and its capacity to foster positive change is there for all to see. My third question about Marxism in China today is this: what have the Chinese Communists learnt as they practice and develop Marxism in China? I believe that three conclusions are essential for this third question. I draw your attention to the introduction by Marx in the Contribution to the Critique of Hegel's Philosophy of Law. Here Marx pointed out: "Theory can be realized in a people only insofar as it is the realization of the needs of that people". So using that thought as a guide, how were the Chinese people to follow the theories of Marx? How was China to start a proletarian revolution, build socialism and modernize a poor, large country in the East? There is no ready answer in Marx's writings. Nor can any precedent be found in human history. In their application of the laws of Marxism, the Chinese communists ditched dogmas and made courageous exploration and innovation. The CPC found the path toward Chinese-style socialism, developed a whole set of theories, and built the socialist system with Chinese features. My second concluding point about evolving Marxism in China today is this: take a realistic approach. Yes, the Party has had enormous success. But the road to win that success was a very severe challenge. The Party had setbacks, made mistakes and paid the price. However, the CPC and the Chinese people have always been able to face mistakes head on, take responsibility and find a new way forward. Some scholars point out that the CPC seems to have some sort of 'antibody' to combat all sorts of viruses. In other words the Party has an in-built resistance to threats to its continuity. I believe the so-called 'antibody', if any, must come from the political courage of seeking truth from facts. In its 90 years of history, the Party kept on taking stock of its past and, in some cases, was brave enough to reverse its previous approaches. With the key of seeking truth from facts, the Party opened one critical lock after another in the Chinese history. In this process Marxist theory was elevated to a new height again and again. My third concluding point about Marxism and China today is this: keep up with the changes of time. To apply Marxism in China's context is to fit it into the circumstances of the time. Different historical stages and conditions left quite different mark on the CPC, China and the world. Confronted with new challenges and situations, the Party was always able to ride the tide of history and lead China toward progress. This was possible because as time changed, the party could always change with it. · "A party is not to become advanced over night. · And its advanced nature must not be taken for granted. · An advanced party today may not be advanced tomorrow"
· A party that rests on its laurels has no future. · We must be ready to change and bold enough to break new ground. · And we must not stand still. The party's commitment to free the mind, its realistic approach and refusal to stand still are the three key points to understanding Marxism in China today. Those three points explain the CPC success in applying Marxism in China under different historical circumstances. In the process Marxism itself got enriched and improved through such practices. In 1921 the CPC started with 50 members. Today, 90 years after its birth the CPC has become the world's largest ruling party with over 80 million members. Over the same period, China has been utterly transformed. In 1921 China was a poor, weak and underdeveloped country. Today, 90 years on, China is the second largest global economy. The Chinese people, once on the verge of crisis, are well on the path toward a great rejuvenation. As time marches forward theory must never lose touch with reality. Looking forward, China will stick to the basic principles of Marxism and the theoretical framework of socialism with Chinese features. China will continue to follow the path tailored to our realities. China will further refine Marxism to build a socialist future. So what does this all add up to in this analysis of China and Marxism? · Productivity is regarded as the driver of social development. · China believes in the overriding importance of development. · The economic agenda is a prime focus. · There will be a pursuit of scientific development. · The growth model of China will be re-orientated. · Restructuring of the economy will be done in a strategic manner. · We will push for technological progress and innovation. · China will sustain steady, fast economic growth and lay a solid economic foundation for social development. It means China will further strengthen its socialist democracy, defined by the party's leadership, people's ownership of China's development and the rule of law. As the political reform moves steadily forward, we will improve democracy, enrich its format and widen the channels for public participation. The lawful rights of the people in democratic election, democratic decision making, democratic management and democratic supervision will be further strengthened. It means China will further improve her people's livelihood, address the major concerns in their day-to-day life and protect their interests. Under the Party's leadership, China's development is for the people, by the people, and all the benefits of development are shared among the people. This is what a Marxist ruling party is all about. It means China will continue to pursue an independent, peaceful foreign policy and a win-win opening-up strategy. The Chinese people will continue to go down the path of peaceful development. We seek friendship and cooperation with all countries based on the Five Principles of Peaceful Coexistence. China is committed to join the international community in contributing to world peace, common development and world harmony. 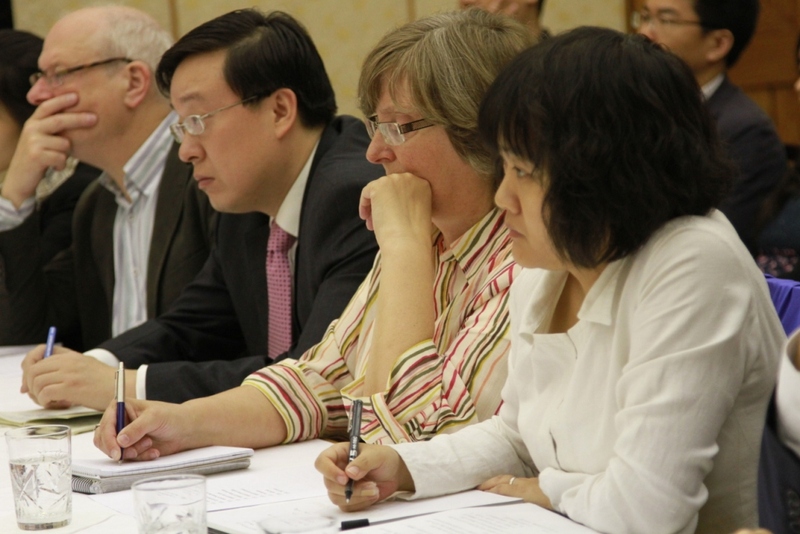 The Chinese people recognise all nations can learn from each others' experience and cultures. China believes there is much to gain through study of different governance philosophies. These studies offer considerable potential to explore how to move state-to-state relations ahead. 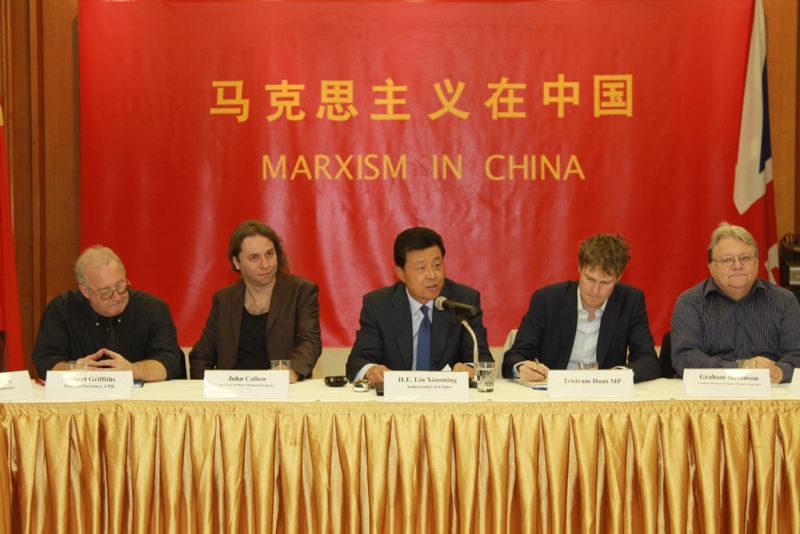 Last but not least, I'm convinced that understanding Marxism in China plays an important role in China-UK relations. A grasp of Marxism in China today is the only path to win a clear understanding of the Chinese nation today. I believe it is essential to realize what the CPC means to China. That is the way to truly see China as it is. Exchanges strengthen understanding and respect. Dialogue reduces bias and misunderstanding. A comprehensive and objective understanding of today's China provides a driving force to the further growth of our bilateral relations.